Arriba Arriba, it’s time for Tequila! Today is one of our favourite days of the year at Amathus Drinks. It’s Tequila Day, and as the UK’s leading tequila importer we want to spread the word to help you celebrate in style. 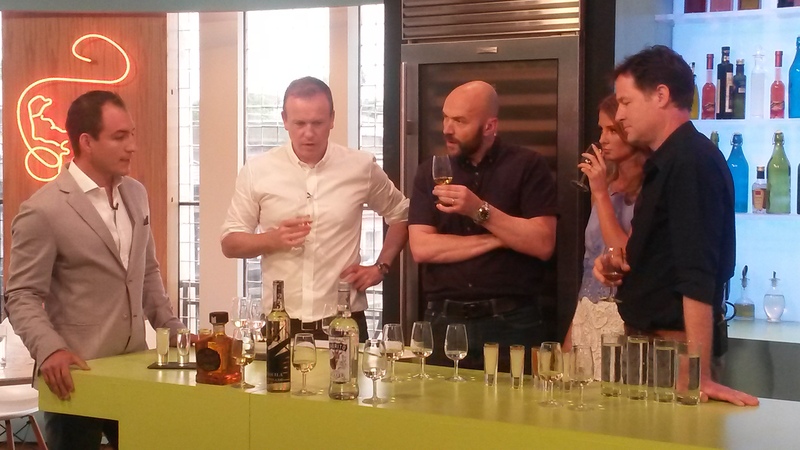 Our tequila expert, Eduardo Gomez, was even on the tele at the weekend to promote tequila day when he hosted the ‘drinkypoos’ feature on Sunday Brunch for C4. Tequila is the fermented juice from the heart of the Blue Agave plant. It is produced in the Mexican state of Jalisco and in four other states and can come in various qualities. To be called tequila the spirit must contain at least 51% Blue Weber Agave. These are known as Mixto tequilas. The idea of having salt and lime with tequila is to largely cover up the not so pleasant flavour of these cheaper tequilas. The best quality tequilas will be 100% Blue Agave and will generally be more expensive than a mixto. It really is worth looking out for them though as the flavour is a lot cleaner and more pure. What tequilas did Eduardo talk about? Do we get a worm in out tequila? You shouldn’t do. The worm was a marketing ploy but traditional tequila will not have one. Caterpillars live on the agave plants and it is believed someone decided to add it to the bottle as a gimmick (Eduardo was keen to point out that no insects were harmed in the making of tequila for Amathus Drinks). What are the different types of tequila? Is young tequila that has not been aged, usually used for cocktails such as a Margarita (see below for recipe). Tequila that has been aged for between 2 and 12 months. The aging occurs in American oak barrels and you can see the colour is darker than the Blanco. Is aged tequila that has spent 1 to 3 years in barrels. The colour will be darker still than the Reposado and the flavour much richer and fuller. How should we drink tequila? Good quality 100% Blue Weber Agave tequila can be sipped, especially the Reposado and Añejo versions. In Mexico the tradition is to drink a Bandera. Bandera is the word for ‘flag’ and the process of the drink represents the Mexican flag. 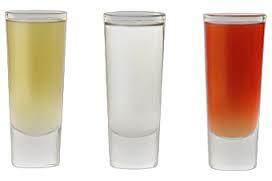 You have lime juice for the green, tequila for the white followed by Sangrita for the red. Sangrita is a blend of orange and lime juices with spices and chilli added. It can have a real kick so feel free to add tomato juice if you prefer it milder. 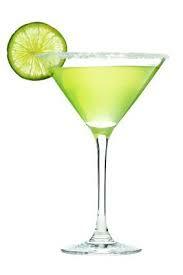 Tequila is also a great cocktail ingredient and our favourite is the classic Margarita. This recipe is so simple and in the sun after work it is the perfect end to the day. Simply pour the tequila, triple sec and lime into a cocktail shaker with plenty of ice and shake well. Rim a glass with salt (if required) and pour in the cocktail. Sit back, feet up and enjoy. Fill the glass with ice and add 1 part of tequila and lime juice. Let us know what your favourite tequila cocktail is in the comments below and we’ll be sure to try them out!